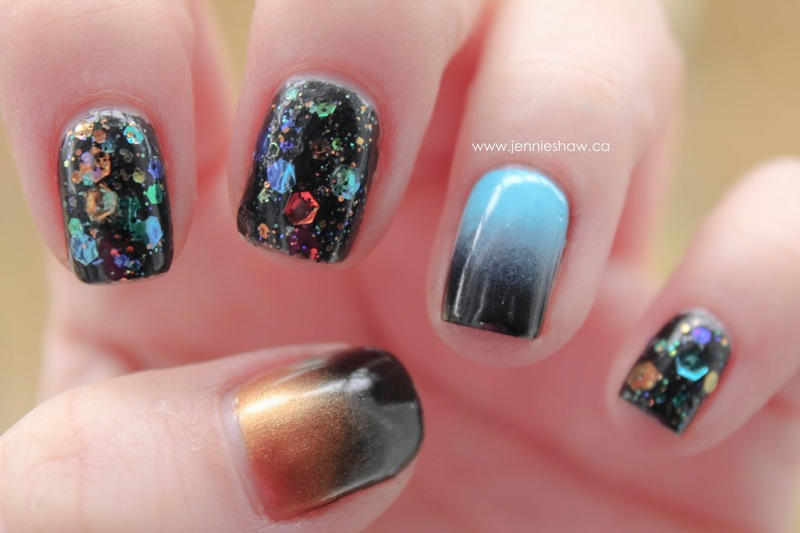 jennie's nails and tales: guest post on easy galaxy nails! Hey guys and gals! Today, I'm over on Amy's Fashion Blog, sharing a super easy way to get a "galaxy nail" look with a fraction of the effort. Cool, right? And I swear, it's super easy. So if you want to know how to get this look, head on over to Amy's Fashion Blog!